IMAC Fashion is all about beauty! Competitions, fashion shows, pageants! 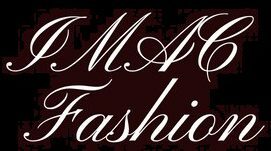 Discover the world of beauty and fashion with IMAC! We are ready to open the door to the glamorous world to each and every person, who would like to achieve more, obtain self confidence and discover the planet of FASHION. We support commercial, educational and cultural interests of the members of our company, friends, customers, partners plus the whole society in general. Our goal is to support and develop the talented people. Our mission is to support friendship between people, creation of favorable environment, promotion of individual growth, individual success, and the creation of social benefits through the mutual respect of the business relations, practices and cultural identity of each people and region. Continue reading → Beauty convention! COMING SOON! International Beauty Convention! Sign up for our updates! The dates TBD. The address: beautiful Orlando, FL.